My guest today is Lori Gordon, a fellow Rebel Ink Press author. I wanted to get to know Lori, so asked her a few burning questions about her current work in progress and her writing inspirations. Tressina Night. Because instead of the villain being a man, she’s an evil old woman disguised as a loving Grandmother. Oh Lori, I love that you’ve chosen a woman as the evil villain. Some of my favorite bad guys are women. My Contemporaries were inspired by real life events that I twisted into fiction, but The Lost Night Trilogy was inspired by my love of Star Wars. I can’t wait to read the book and see that connection. I’m a Star Wars junkie too! I played the Trombone in my Jr. High band. Very Cool. I played Flute. I’d always wished I had been enough of a self advocate to say I want to play DRUMS! I basically got ‘assigned’ to play flute! What genre classification would you put on your book and what would you consider the heat level of the romance? 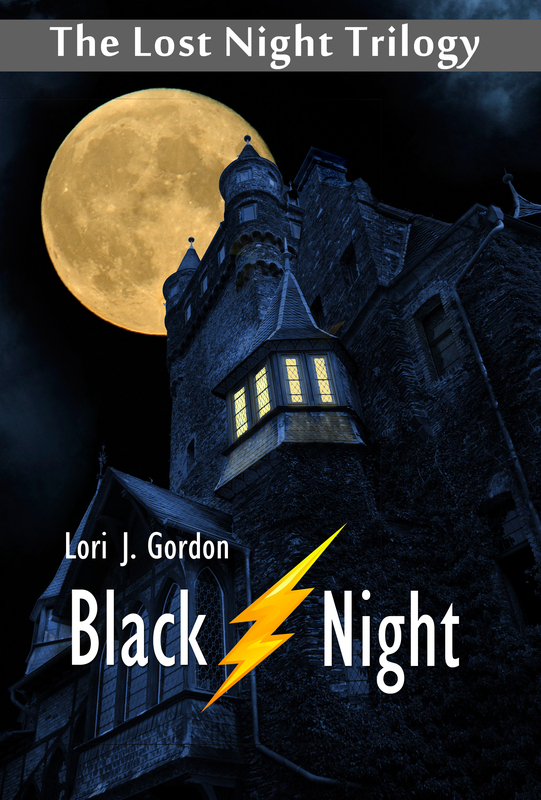 Black Night is book one in a Young Adult Trilogy. It is a Romantic Adventure I would rate 2 on the heat scale. Okay, young adult isn’t in competition for the hot tamale award. Sounds like it might be a 10 on the adventure scale! I started writing in 2006. Black Night was my very first manuscript. I wrote it when my best friend’s son asked me to write something for him to practice editing for college. He said I always had a story to tell and I should put some of them into writing. My best friend liked it so much I wrote two more, creating The Lost Night Trilogy. Lori J Gordon lives in Northern California with her husband and their Jack Russell Terrier, Skittles. Sienna James must face the harsh realities that exist outside her sheltered world when she falls in love with the grandson of a rival planet’s evil ruler. Attempting to break off the doomed relationship, Sienna is kidnapped and forced into a marriage designed to destroy her father’s empire. Marc walked me back to my room and leaned in to kiss me. I turned at the last minute so he only got the corner of my mouth. “Where are we headed?” I decided to ask. The food I’d just gorged on threatened to come up. I nodded. I’d heard of Oceania. It was the planet housing the famous Night Fortress. I should have made the connection earlier. I should have figured that’s where they’d take me. Silently, I berated myself. If I hoped to escape I needed to do a better job of concentrating. That gave me the excuse I needed to get away from him. For tonight anyway. When the door clicked shut, the tears came. I cursed myself for being such an idiot. My dad raised me better than this. The enemy should never have so easily distracted me even if he was an incredibly handsome enemy. This entry was posted in Uncategorized and tagged Author Spotlight, Lori Gordon, Lost Night, Rebel Ink Press. Bookmark the permalink.